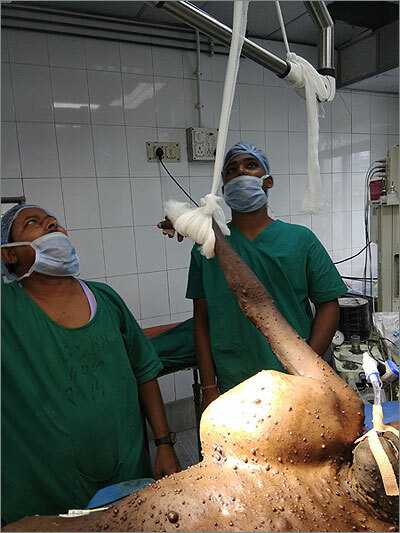 In a rare surgery performed by Dr. Santanu Dutta of the Department of Cardiothoracic & Vascular Surgery and his team, a gigantic dumbbell shaped tumor was successfully removed from a 33 year old male patient (SK) on 11.06.2018. Prof. Anupam Goswami, Dr. Sandeep Kumar Kar and Dr. Riya Sonam comprised the anesthesia team. A resident of Pangacha village of Raina in Purba Bardhaman district, the patient was referred from Burdwan Medical College and Hospital. 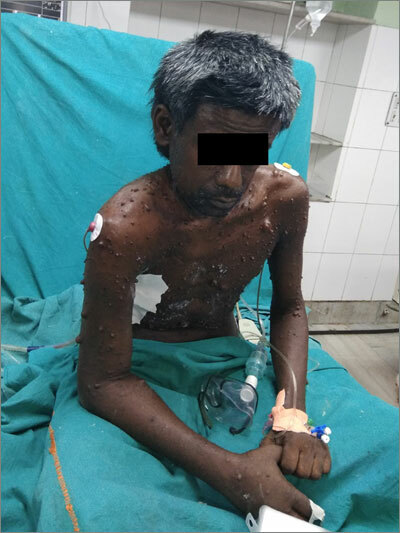 The patient was suffering from generalized neurofibromatosis (Neurofibromatosis type 2) and had multiple tumors all over the body. 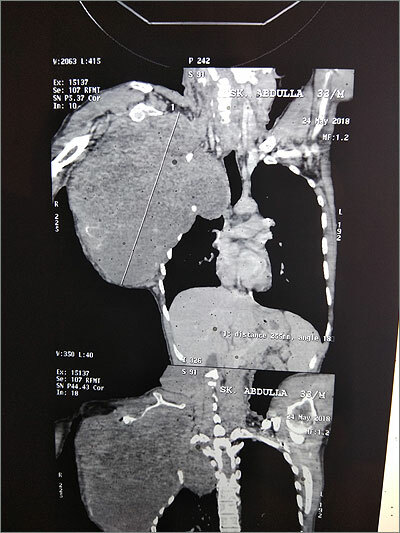 This particular tumor weighed about 7 kg with both intrathoracic and extrathoracic extensions. Although thought to be benign, it had grown quite rapidly in the last one year and was compressing the right lung along with encasement of the subclavian vessels and the nerves of the brachial plexus. Both surgery and anesthesia were challenging. The patientâ€™s hand was tied to the frame of the OT light to minimize lung compression and ensure maximal air entry into the lung to tolerate the lateral position as done in thoracic operations. 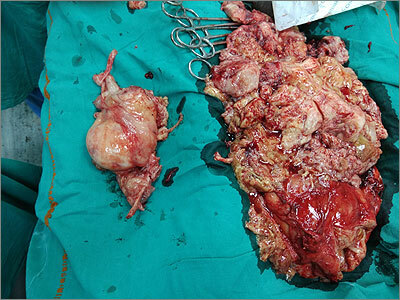 The tumor was so huge that it had outgrown its blood supply and undergone liquefaction and necrosis in the central part which was discovered after dissection. Histology revealed it to be a neurofibrosarcoma that had infiltrated the thoracic cage and adhered to the lung in its intrathoracic extension as shown in the CT Scan. 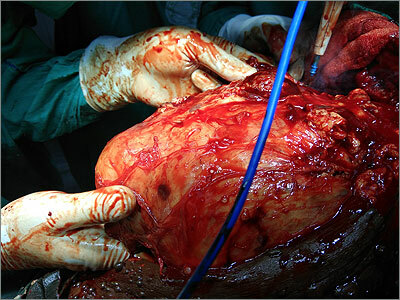 The vascularity of the tumor was high and the patient suffered extensive blood loss. In order to compensate, four units of whole blood and one unit of plasma expander was used during the surgery in addition to IV fluids. The patient recovered well in the postoperative period and was discharged on 17.06.2018 in stable condition. The surgery had given him a new lease on life.